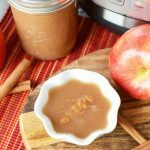 This Instant Pot applesauce recipe is so easy to make you will never go back to store bought again! Simple and sweet with just a touch of spice, this homemade applesauce recipe will be a big hit with your family. 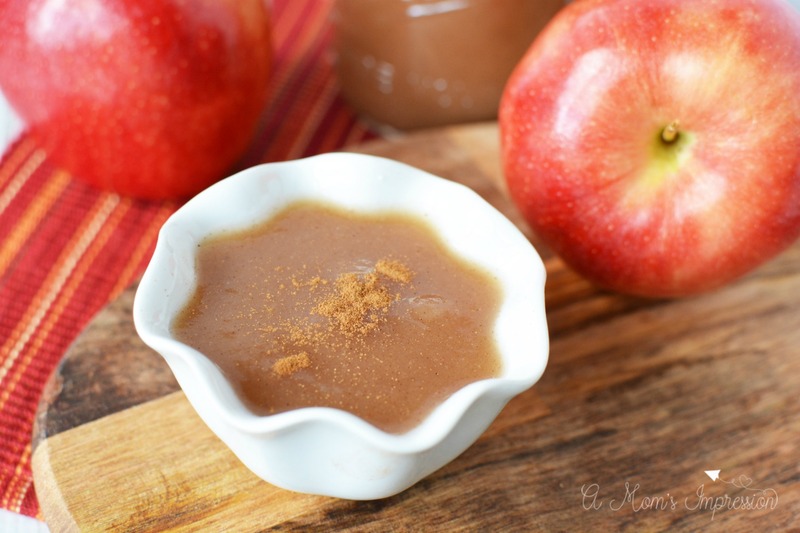 Making your own homemade applesauce is so simple. I am the queen of quick and easy snacks and meals for my kids so when I first thought about making my own applesauce, I dismissed it. When I got my Instant Pot and made Instant Pot Yogurt for the first time, I realized that this appliance was going to be a game changer for my family. I am now able to make some of the staples that my family eats on a weekly basis in a matter of minutes using my pressure cooker. When you figure out how to convert recipes to your Instant Pot you will be using it for a ton of your favorite recipes. 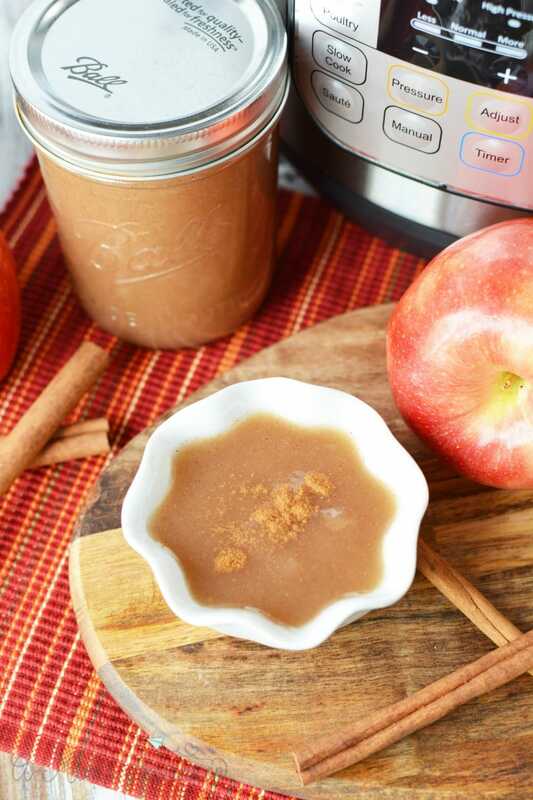 The great thing about this Instant Pot Applesauce recipe is that you can use just about any apples you might have on hand. For this particular recipe I used Gala apples because I love the sweetness that they give the sauce. We also like to use Honeycrisp mixed with Granny Smith when we make our homemade applesauce recipes. When we can find them in season, Honeycrisp apples are always on hand in our home. It is my son’s favorite. Granny Smith apples are great because they are firm and give a bit of tartness that makes the applesauce delicious. 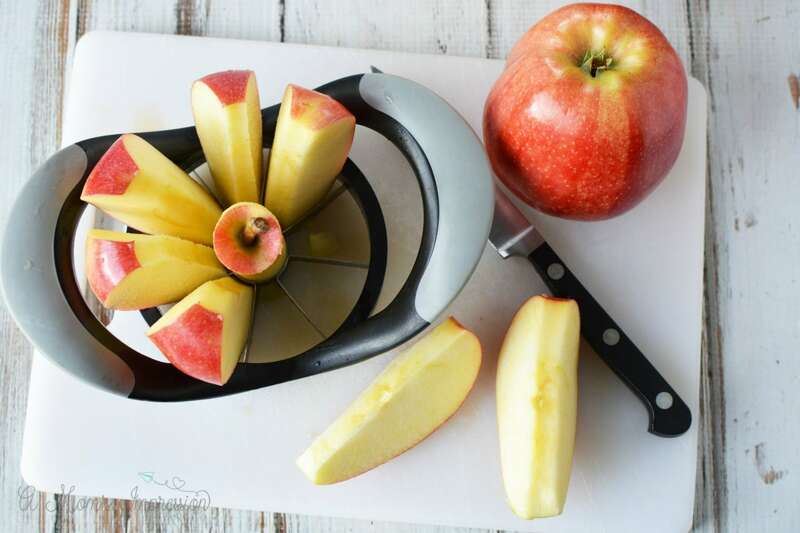 Peel, core and chop apples into large pieces. Place into instant pot. Add sugar, water, cinnamon and nutmeg and mix well. Place the lid on the instant pot and seal shut. Close the pressure release valve. Set the instant pot to manual, high pressure for 5 minutes. When cooking cycle is complete, naturally release pressure for 15 minutes. Quick release pressure and open pot. Use a potato masher to mash apples into smaller pieces or use an immersion blender to puree about half of the mixture, then stir well to mix. Makes 4 cups or 2 jars shown. Store in refrigerator for 7-10 days. Adapting this recipe to use your slow cooker is simple. Basically you are going to add everything to your slow cooker crock without the water and then cook on low for 4-6 hours. When finished mash or use the immersion blender until it is at the consistency you want. 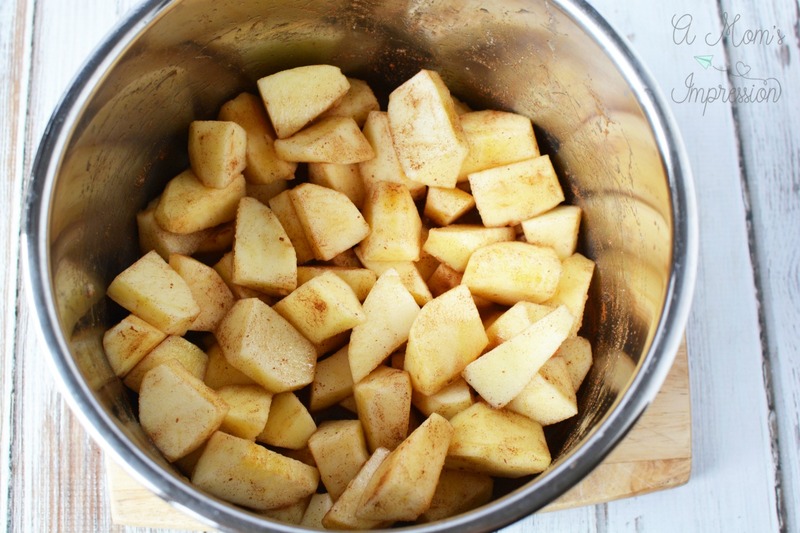 This homemade applesauce can be stored in the fridge for up to 10 days. Peel, core and chop apples into large pieces. Place into the Instant Pot. Add sugar, water, cinnamon, and nutmeg and mix well. Place the lid on the instant pot and seal shut. Close the pressure release valve. Set the instant pot to manual, high pressure for 5 minutes. When the cooking cycle is complete, naturally, release pressure for 15 minutes. Quick release pressure and open pot. *Cooking time does not include time it takes for the pressure cooker to come to pressure.